As Halloween draws closer, one man who wont be tussling in his local Tesco for that last pumpkin is Clive Bevan, a Northamptonshire gardener famed for vegetables the size of hatchbacks. 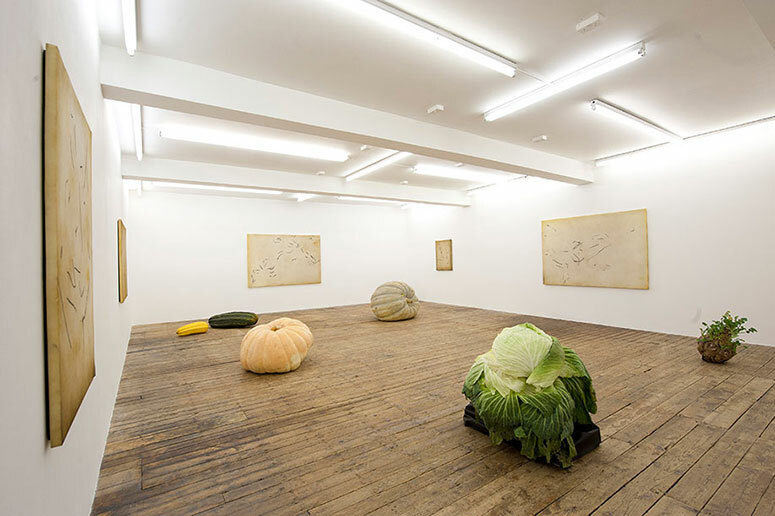 Bevan’s veg have won competitions and broken world records, and o they’re appearing in Prize, an installation by Dmitri Galitzine as part of a show called Prune at London’s Fold gallery (until 30 October). “I’m a vegetable grower, not a bloomin’ artist, “ says Bevan “but I’m game for anything. We’ve seen all sorts of art with Damien Hirst, his pickled cows and whatnot…” Here Bevan describes how his bulbous produce carved out a place for itself in the art world.